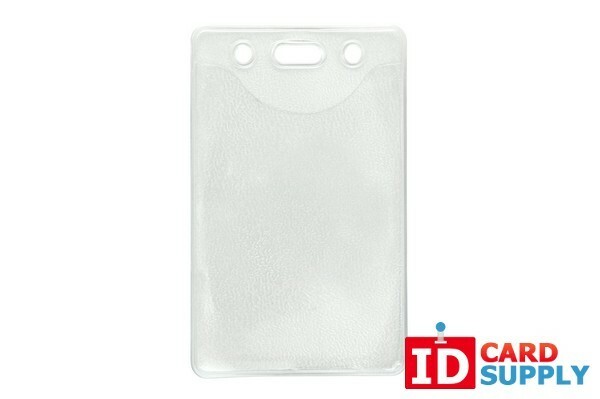 This Vertical Credit Card Size ID Badge Holder has slots to attach a lanyard or a chain. It also has an orange peel texture on the inside to prevent your card or badge from sticking. The badge protector will prevent any scratches or scuffs to your badge. Affordable and priced in lots of 1 from IDCardSupply.